Beach Village at The Del offers unparalleled luxury not only as a place to soak up the San Diego sunshine, but as an investment property that virtually rents out itself. If you have the opportunity to purchase a Beach Village vacation home, do not let it pass you by. Your investment will treat you wonderfully both while you are vacationing in Coronado and while you are back home. Beach Village owners can spend up to 90 days in their unit during the year and up to 25 out of 50 consecutive days. These may sound like tight restrictions, but most owners find them to be non-factors. The 90-day limit is part of the California Coastal Commission’s efforts to preserve California’s beautiful shoreline and nature. The 25-day limit allows The Del to maintain its rental program, which works in your favor. Every bit as desirable as the amenities is the fact that a Beach Village condo fills itself when you are not using it. Hotel del Coronado manages all aspects of renting out your cottage or villa while you’re not there—from marketing and reservations to accommodations, maintenance and repairs—and splits the revenue with you. All you have to do is provide the hotel with which days you plan on staying, and they will put the unit on the market for the vacant days. Beach Village is also the only rental property in Coronado exempt from a city ordinance prohibiting short-term rentals under 26 days. That means you are among just a handful of owners on the island who can accommodate the many weekend, weeklong, and holiday visitors Coronado attracts year-round—you don’t even have to communicate with them! The Del makes the arrangements on your behalf. Your Beach Village vacation home is spotless when you arrive, opulent while you stay, and effortless when you leave. Vacation homes simply don’t get any better than this. Looking for more information about Beach Village at The Del? Contact Del Coronado Realty at 619-437-1888, or visit us in Hotel del Coronado at 1500 Orange Avenue. In 1999, nearly two decades and roughly a dozen moves later, the Fishers–now with two kids–found themselves back in Coronado. This time, they expected to stay 18 months. After falling in love with everything the island offers, the Fishers extended their stay in Coronado another three years while Mike worked with the Naval Special Warfare Center at Naval Amphibious Base Coronado. Mike was then faced with a two-year deployment that would have caused him to miss their son’s junior and senior years of high school, to which he retired from the Navy and secured a position that would allow the Fisher family to make Coronado their permanent home. 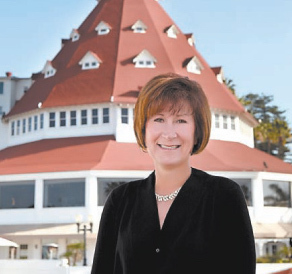 Ruth Ann established Del Coronado Realty shortly after and has been happily helping others find their “forever home” in Coronado ever since. Even during her temporary stint in Coronado, Ruth Ann felt the island’s small town charm. Do you prefer mountains or beaches? Surfing or snowboarding? Biking or boating? All of the above are within reach, from the pristine shoreline right in our backyard to the adventures that await just a two-and-a-half-hour drive away in Big Bear Lake. The combination of award-winning schools and low crime was pivotal in the Fishers’ decision to stay and settle down in Coronado. Both of their children attended school here from a young age through high school graduation. For those who find themselves drawn to the many allures of Coronado, there is no better place to begin exploring the real estate market here on the island than with Del Coronado Realty. Led by Ruth Ann’s decades of local market knowledge and genuine passion for the local community, our team is here to help you not only find a home, but create the life you envision in Coronado. Okay, so we’re a little biased. But just because we live and work here doesn’t mean we can’t make a reasonable claim for Coronado to be at the top of every vacation homebuyer’s list. Let’s run through the reasons why Coronado is the king of U.S. vacation destinations. The Pacific Northwest and New England are both spectacular for a short window of time each year—and then comes winter. If you buy a vacation home in either of these regions, you will likely be visiting during their busiest times for tourism. Next, let’s venture down south—think Florida, the Carolinas, or the Texas gulf coast. Here you’re faced with the other extreme: a sweltering hot vacation season. We’re talking heat index values well into the 100s by 10 a.m. Visiting in winter is great weather-wise, but many restaurants and attractions are closed. Meanwhile, Coronado’s climate stays flawlessly temperate year-round. Whether you’re trying to escape the sizzle of summer or the wrath of winter, this is the place to be. The Atlantic hurricane season typically poses a much larger threat to the U.S. than the Pacific hurricane season. Most recently, Hurricane Matthew caused approximately $1.5 billion in property damage in North Carolina alone. The October 2016 storm made its U.S. landfall in South Carolina as a Category 1 Hurricane, lashing a large swath of the Eastern Seaboard from Florida all the way up to Virginia. There is no “one up” to be celebrated here. We can’t control Mother Nature, and it’s always deeply saddening to hear about people losing their homes in a storm. Nevertheless, the West Coast is significantly and scientifically safer from hurricanes than the East and Gulf Coasts. The only known hurricane to hit Southern California was in 1858, and only two tropical storms have made landfall here since 1900. It’s a special kind of life when on any given day you can be sitting on a beach, boating on a bay, exploring a big city, driving through the countryside or skiing down mountain slopes. Most places are able to provide just one or two of the above, and again, only during a specific season. Idaho, for example, has some of the most beautiful country you’ll ever see, but its most populous city is less than one-sixth the size of San Diego, and you’re hours from the ocean! Coronado caters to those who like a little bit of everything. For many people, driving amounts to hours of lost time, even on vacation. Not in it for an adventure? Leave your car at home—literally—and walk to just about everything you need in the heart of Coronado: the Village. Orange Avenue is lined with shops, restaurants, and boutiques, and you can catch a ferry on the Bay side to equally walkable Downtown San Diego. Being on an island makes vacationing blissfully simple. People often associate islands with isolation. If you’re going somewhere like Hawaii, that is undoubtedly true. It takes a full day to get to Hawaii from the East Coast and a half-day from the West Coast. Between the time difference and high cost of goods, the trip can be more exhausting than rejuvenating. A relatively short and affordable flight from every corner of the country, Coronado is an accessible paradise that captures every essence of a perfect vacation. When you buy a vacation home here, you’re investing in the island retreat you deserve. Let Del Coronado Realty help you find your dream vacation home in Coronado. Call us at 619-437-1888, or visit us in Hotel del Coronado at 1500 Orange Avenue. The Coronado Unified School District is a consensus top school district not just in San Diego, but also in all of California. Four Coronado schools have been named California Distinguished Schools, two have been named National Blue Ribbon Schools, and one is recognized as a demonstration site for the state. Our district consists of two elementary schools, one middle school, and one high school. 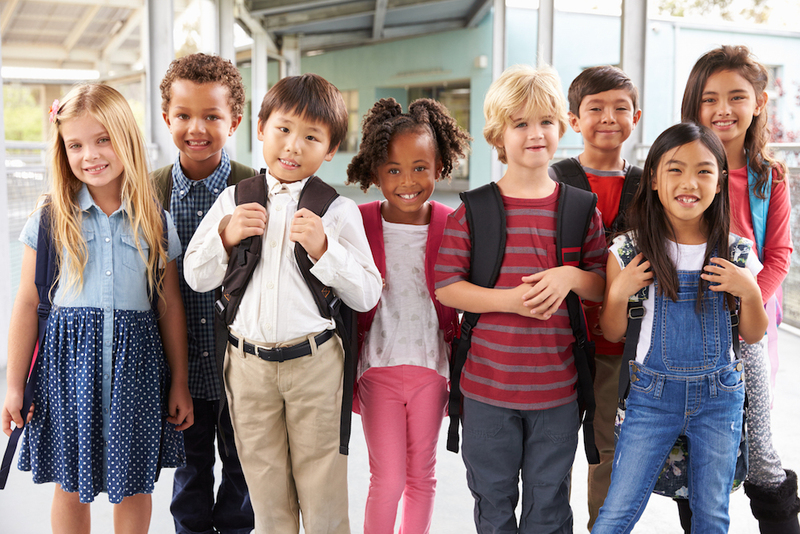 Compare this tight-knit system to larger school districts with hundreds of thousands of parents, and you’ll see an inspiring opportunity to get involved in your child’s education, whether through tutoring, sports, or any other initiative you find a passion for. Many clients come to us looking to buy in Coronado, specifically so they can place their children in the Coronado Unified School District—and you thought perfect weather, pristine sand, and panoramic city views were the main draws! Since Coronado has a large military population, the children here are accustomed to seeing new faces regularly. That means your child will feel at home from their first day of school and won’t be “the new kid” for long. When we said that even youngsters themselves covet a Coronado education, we were referring to Coronado School of the Arts (CoSA), where nearly three-fourths of the student body comes from outside of Coronado. San Diego’s premier performing arts high school, CoSA is located on the Coronado High School campus and offers classes in everything from theatre to music to visual art. The program is extremely competitive and equally successful. Coronado High School offers almost every major sport imaginable and consistently produces some of the most competitive teams in the state. In 2014, US News ranked Coronado High School in the top 1 percent of public high schools nationwide. Many of our athletes–particularly those in baseball, soccer and lacrosse–go on to excel at the next levels of their respective sports. Academic success aside, schools in Coronado offer all of the qualities you’re looking for. Between the island’s low crime rate and small area, it is unequivocally safe for your child to get to and from school. Meanwhile, top facilities, passionate teachers, and a caring staff make for an atmosphere where education is truly enjoyable. Looking to learn more about Coronado before you make the decision to move here? Del Coronado Realty can tell you everything you need to know. Visit our blog at www.delcoronadorealty.com/blog for ongoing tips and insight, or call us at 619-437-1888 with any questions you might have. In our many years of helping Coronado visitors find their perfect vacation rental, we’ve identified four types of vacationers and matched them each to one of the island’s three sections. The Coronado Shores is a beachfront community of 10 luxury high-rise towers. If you are looking for amenities and moments of pure content, this is the place for you. Coronado Shores vacation rentals offer stunning ocean, bay, and San Diego skyline views, along with access to swimming pools, tennis courts, a sauna, a health club, and more. 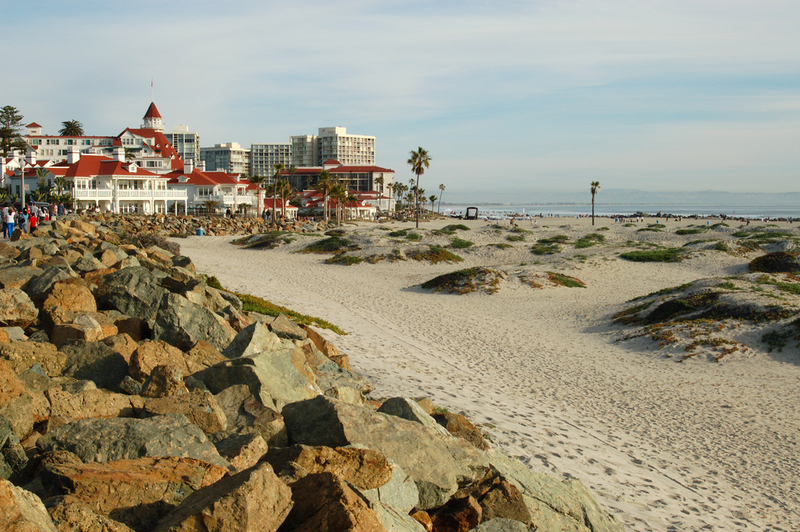 The Shores are also within walking distance to iconic Hotel del Coronado and the center of town. Do you take comfort in knowing that everything you could ever want is within walking distance? You’ll love the Village, where countless shops, restaurants, and activities line Orange Avenue and the surrounding area. Most vacation rentals in the Village have a Walk Score of 80 or higher, and that measurement of convenience doesn’t even factor in the instant access to Downtown San Diego via boat or bridge. Those who feel the draw of the open seas can sail to their heart’s content in the world famous Coronado Cays. This beautiful area is made up of 10 distinct villages, each with their own flair. There are ample vacation rentals and boat slips available to fit almost any size vessel. With near perfect weather year-round, the Coronado Cays mean paradise for boat lovers. 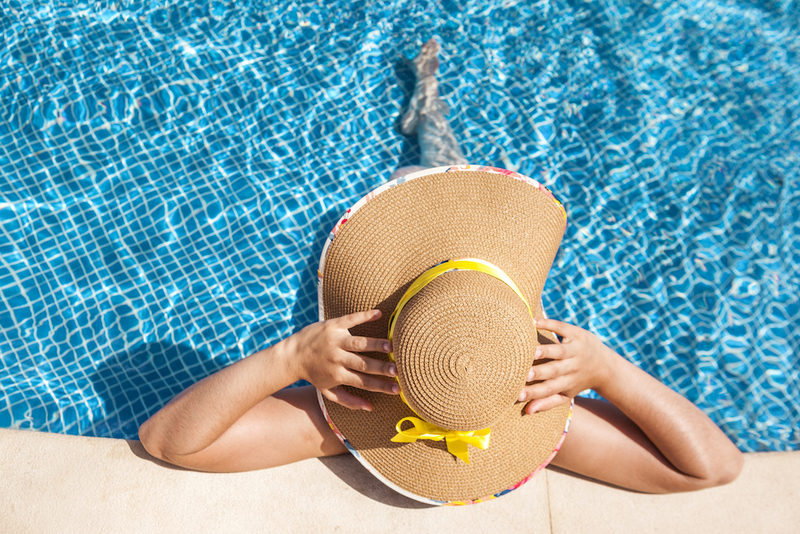 We all need a “mini-vacay” every now and then, a quick getaway without the heavy planning and packing that an extended stay entails. You’re more than welcome to stay in Coronado for a long weekend, but be aware that a city ordinance limits vacation rentals to a minimum stay of 26 days in order to preserve the community atmosphere that makes Coronado so special. There are indeed a few rental options for short-term stays, ranging from ultra-luxurious Beach Village at The Del to a modest timeshare on Orange Avenue. Part of our job as Coronado real estate experts is to match vacationers with rental owners. We have longstanding relationships with owners island-wide, and can help you find the dream vacation rental you deserve. Learn more at www.delcoronadorealty.com, or visit us in Hotel del Coronado located at 1500 Orange Avenue. It may be known primarily as a vacation destination, but roughly 25,000 people call Coronado home. Want to become a local? Here are four simple real estate strategies that can land you on our pristine shores for longer than just a week or two. Buying a home when you first enter the workforce or during a life transition might not be realistic, but once you have settled down and established a career, owning is usually the more sound choice for your finances. Renting is widely compared to throwing money away. And oftentimes, we find that a client can pay just a little more for a mortgage than their current rent. When you own, your home is an investment rather than a monthly expense. Think a Coronado home is out of your budget? You might be pleasantly surprised. There are 2-bedroom condos in the Village (the center of town) for roughly $800k-1million. The Shores offer 1-bedroom units with beautiful views for less than $1 million. In the Cays, you can find a 2-bedroom condo in the $800k range. 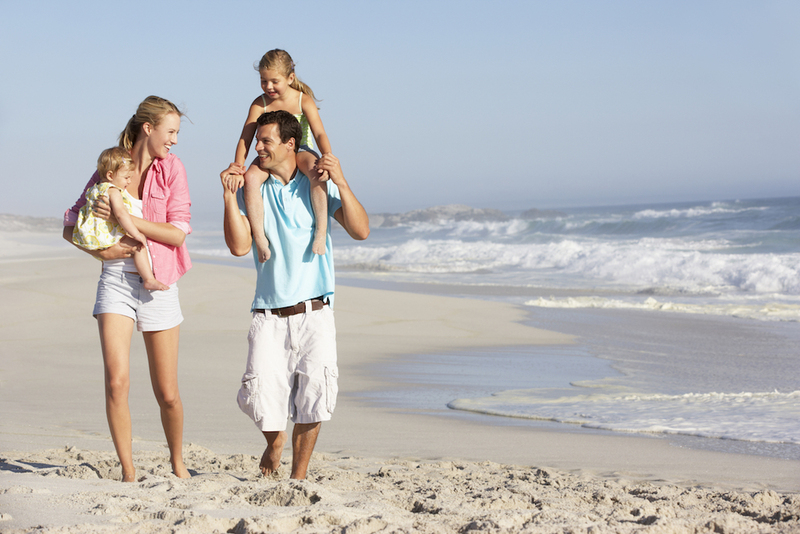 Many families go on an extended vacation or visit other family members for the summer. Sound like you? Consider buying a home in Coronado, staying in it for the majority of the year, and renting it out while you are gone during the summer months. This strategy works well because the summer vacation rental demand in Coronado is extremely high. Rental income from July alone can be enough to offset the annual taxes, insurance, and other expenses on your property. In reverse from the previous suggestion, those who are happy with a smaller dose of the Coronado lifestyle can buy a home, rent it out for the majority of the year, and use it as a vacation home when they wish to spend time on the island. This allows you to get your foot in the door of a coveted market, with a high return on your investment should you wish to sell later on. Because of its great schools, Coronado also has a strong demand for school-year rentals. You should have no trouble finding renters even in “the dead of winter”—which is typically sunny and 70 degrees here in the San Diego area. Furthermore, a VA jumbo loan lets you borrow more than the “conforming limit” set by lenders. In San Diego County, you can pair your VA benefits with a jumbo loan for 100 percent financing on a home purchase up to $580,750. That means no down payment. Once you pass the $580,750 mark, you can use your VA benefit with no maximum loan amount. The only stipulation is that you must be able to make the minimum down payment, which is significantly less than homebuyers without VA benefits. You can even use a Thrift Savings Plan (TSP) as your down payment. The strategies we’ve offered are all rather common. However, when it comes time to find your dream home in Coronado, your strategy will be unique to your needs and preferences. Let Del Coronado Realty provide concierge-level service so that you can truly enjoy your Coronado home-buying experience. Call us at 619-437-1888, or visit us in Hotel del Coronado at 1500 Orange Avenue. How Far Do Your Veterans Benefits Go in Coronado? From sprawling Naval Base Coronado to the Coronado Chamber of Commerce’s annual Salute to the Military Ball, a proud military presence is ingrained in our island’s culture, community, and identity. Given the warm weather, perfect location, and luxury real estate, many military families assume they do not have buying power in Coronado. But, by understanding and leveraging Veterans Affairs (VA) benefits, you can become an owner in one of America’s most lucrative markets. The eligibility requirements for obtaining a VA home loan vary based on service status and are listed on the U.S. Department of Veterans Affairs website. Active duty military are typically eligible after 6 months of service. If you have solid credit and income along with a Certificate of Eligibility, you are ready to seek pre-qualification and pre-approval. People often assume that the loan is coming directly from the Department of Veterans Affairs, which is incorrect. The loan is still made by a private lender, while the VA guarantees a portion of it. A jumbo mortgage or jumbo home loan allows for a loan amount exceeding the regulatory “conforming limit” set by Fannie Mae and other lenders. In San Diego County, you can pair your VA benefits with a jumbo loan for 100 percent financing on a home purchase up to $580,750. That means no down payment. Exceeding the $580,750 mark, there is no maximum loan amount with your VA benefit, as long as you are able to make the minimum down payment (which is dramatically less than home buyers without VA benefits). You can even use a Thrift Savings Plan (TSP) as your down payment. 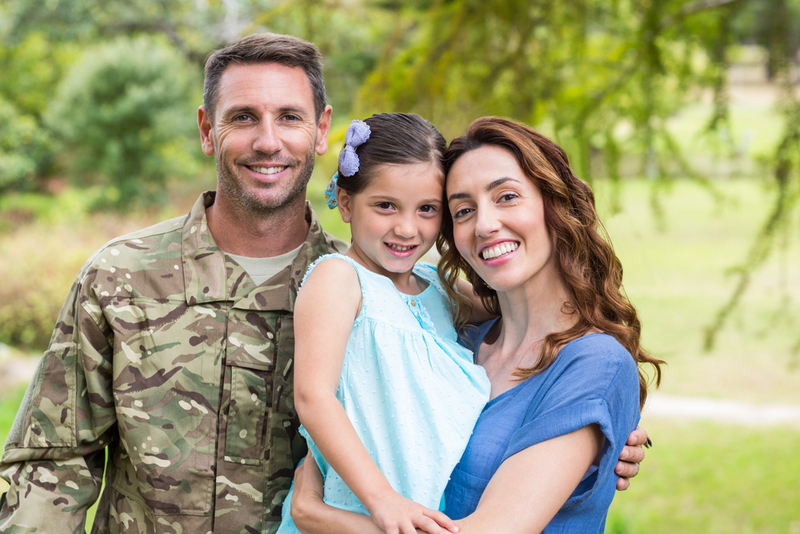 Contrary to widespread assumption, active military duty doesn’t relegate a military family to renting. Even though you move to a new location every few years, buying is in many cases the better financial strategy. We usually encourage military families here in Coronado to buy, and then rent the property out after they are stationed elsewhere. Rinse and repeat everywhere you go, and when you retire, you will have a portfolio of properties that paid off themselves. VA benefits—and the home buying process in general—can seem complicated, but don’t let that deter you from becoming a homeowner here in beautiful Coronado. Del Coronado Realty can put you in touch with our preferred lender, who will help you maximize your VA benefits and get everything in line so that we can then start to show you Coronado homes for sale. Call us at 619-437-1888 to learn more. Whether you’re making your first visit to Coronado or have frequented our island paradise for decades, you might find yourself wishing you could stay longer. Between its pristine beach, beautiful bay views, welcoming small-town atmosphere, and near flawless weather, Coronado is indeed one of America’s most beloved vacation destinations. Want to extend your stay? Buy a vacation home here! Del Coronado Realty can tell you everything you need to know about Coronado vacation homes. Connected to the world-famous Hotel del Coronado, Beach Village at the Del is a private enclave where luxury meets simplicity, and every property is either oceanfront or ocean view. Not only is Beach Village at the Del luxurious, from an investment and revenue standpoint, you can’t beat it. When you’re not using your vacation home, Hotel del Coronado’s rental program will manage all aspects of filling the vacancy and share the revenue with you. Plus, Beach Village is one of the lone properties excluded from a city ordinance that prohibits renting out a property for less than 26 days, meaning your property can be among the few rentals island-wide with weekend, weeklong, and holiday availability. The only limitation is that the California Coastal Commission only allows Beach Village owners to spend up to 90 days in their unit during the year. These restrictions are meant to maximize public access to California’s beautiful shoreline while protecting its nature and wildlife. The Del also limits owners to 25 out of 50 consecutive days, in order to maintain viability of the rental program. The Shores are the high-rises adjacent to Hotel del Coronado. These condos offer oceanfront and bay views, with a strong rental following that can offset many of your taxes and holding expenses on the property. The key advantage at the Shores is that you do not have the 90-day or 25-day limitations of Beach Village, so you can stay in your vacation home as long and as often as you’d like. For those who like to be literally on the water, the Cays offer the ideal boating community. There is plenty of slip availability, and you can dock here year-round. The Cays consist of 10 different villages with an array of living options including condos, houses, planned unit developments, detached homes, and attached homes. The Village is the center of the island, just over the San Diego–Coronado Bridge. The two main themes here are community and walkability. People love the Village for its hometown atmosphere and for its many shops and restaurants lining Orange Avenue. If you like to be amongst locals and prefer a stroll over a ride in the car, the Village is for you. Weather and island vibes aside, Coronado is a sound investment with steady demand and strong resale value. A Coronado vacation home is so much more than a getaway—it’s a connection to a beautiful community that will embrace you and an investment that can prove profitable in both the short and long term. On a small and sought-after island like Coronado, real estate sells fast. Oftentimes, buyers find that they aren’t able to ponder a property for long before it’s gone. Likewise, waiting for the market to drop doesn’t always yield savings, due to Coronado’s high appreciation rate. If you’re seriously considering buying a vacation home in Coronado, the best strategy is to view many properties so that you can identify and pursue “the one” as soon as it becomes available. Del Coronado Realty is here to help you through every step of the process. For our latest vacation home listings, call us at 619-437-1888, or visit us in Hotel del Coronado at 1500 Orange Avenue. Can You Use a 1031 Exchange to Sell and Buy a Home in Coronado? this article, Del Coronado Realty provides a brief guide to help you understand what a 1031 exchange is, how it works, and why it’s so valuable. While depreciation allows you to reduce your taxes during the time you own a rental property, you are left vulnerable to those tax obligations if you decide to sell the property. A 1031 exchange allows you to mitigate capital gains and apply them to your next property purchase so that you do not have to pay taxes on the value you have depreciated over the years. When you reinvest or “exchange” the gains into a similar property, they become tax-deferred. During a 1031 exchange, you have 45 days from the closing of your current rental property to identify and file three potential exchange properties. Ideally, you will enter into escrow during this time, as you have a total of 180 days to close on your new property. If these deadlines and requirements aren’t met, the IRS will deny the 1031 exchange, and you will be taxed on the capital gains from your current property. Hire a 1031 exchange accommodator to handle the funds associated with your sale. Hire a realtor to advise you on the 1031 exchange process and buying your new property. Be sure to let them know that you wish to do a 1031 exchange. Upon closing, the accommodator will hold on to the funds until you find your next property. Identify three properties within 45 days of closing. Choose one of the three properties and close within the exchange period of 180 days from the closing date of your current property. At closing, the accommodator will utilize the funds from the sale of your previous property. Do not try to complete a 1031 exchange without an accommodator. Once you touch the money from the sale of your current property, it becomes taxable. 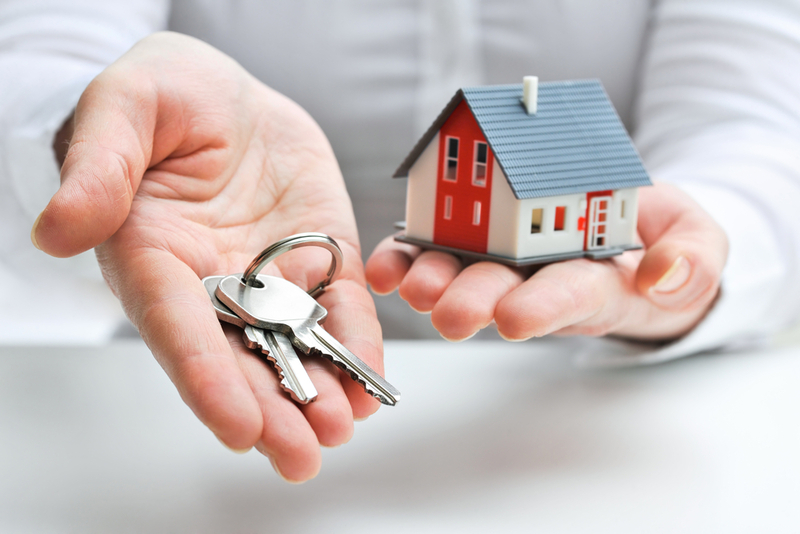 Do not try to switch to a different property than one of the three you have already identified. Do not miss the 45-day and 180-day windows. The main benefit of doing a 1031 exchange is that you increase your buying power. Capital gains taxes can be crippling to investors, which is why the IRS provides protection for those who seek to continue investing. Here in Coronado, the combination of rapid appreciation and the ability to defer capital gains is a recipe for a healthy, growing, and diversified portfolio of rental properties. From the sale of your current property, you might be able to buy several new properties and increase your rental income stream. A 1031 exchange is a great opportunity to have the tax system work for you, whereas it would otherwise work against you. In order to meet the finite requirements, though, it’s important that you hire a realtor who understands how to complete a 1031 exchange. If you’re looking to do a 1031 exchange with your Coronado rental property, look no further than Del Coronado Realty. We can help you sell your property and find a new property, without being subject to additional taxes. Call us at 619-437-1888, or visit our offices in the iconic Hotel del Coronado at 1500 Orange Avenue. Coronado is as great of a place to sell a home as it is to buy a home. Between the exceptional quality of life, the beautiful Southern California coastline, the small beach town atmosphere, and the big city across the bay, there is never a shortage of renters and buyers looking to get their foot in the door just like you did years ago. Property values here typically double every 7-10 years, thanks to Coronado’s vacation appeal and demand. Most people first buy a home in Coronado to live in it and soak up the island lifestyle. When it comes time to move—whether because of military stationing or simply because it’s time for something new—they rent the home out. Since Coronado property appreciates at a rapid rate, they are able to enjoy a consistently solid and growing revenue stream from their rental property. Most communities have either high rent or high appreciation; Coronado has both. With the appreciating value of your investment property, you can eventually sell it and perhaps expand your portfolio of properties. One of our clients recently sold their Coronado investment property for $1.2 million and bought an 11-unit apartment complex in Idaho, tripling their rental revenue. Selling Your Coronado Home: Is it Time? For those who decide to sell, a high return can typically be expected. Another one of our past clients bought a home in Coronado for $60k in 1960. In 2010, the home sold for $4.5 million. If you’ve been living here for quite a while, you might be surprised at what your home is worth. When you’re selling your current home and buying a new home on the island, consider purchasing a smaller home. “Downsizing” often carries negative connotations, and yet it’s rarely a bad thing. A smaller home is trendy, cozy, economical, and often barely noticeable for those who live the active, outdoor Coronado lifestyle. If you buy a home for less than what you sold your previous home for, you can take the extra money and invest it into another rental property, either here or in another state. All the while, you still have your anchor down on the island you’ve grown to love. Sip a cocktail and enjoy life right here on Coronado Beach! Don’t count on Zillow or Trulia to give you a reliable estimate of what your home can fetch on the market. The previously mentioned client who sold their home for $4.5 million got a “Zestimate” (Zillow estimate) of $1.2 million. Meanwhile, a different client had a discrepancy of nearly $3 million between their Zillow and Trulia estimates. If you’re thinking of positioning your Coronado home as an investment or financial sparkplug, Del Coronado Realty can help. Our team has decades of experience in the Coronado market. Call us at 619-437-1888, or visit our offices in the iconic Hotel del Coronado at 1500 Orange Avenue.